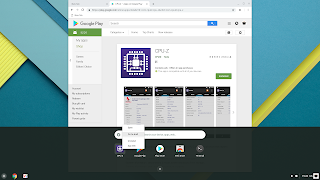 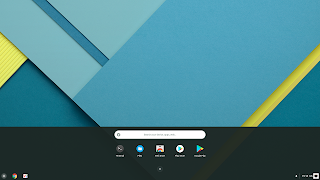 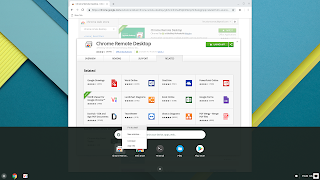 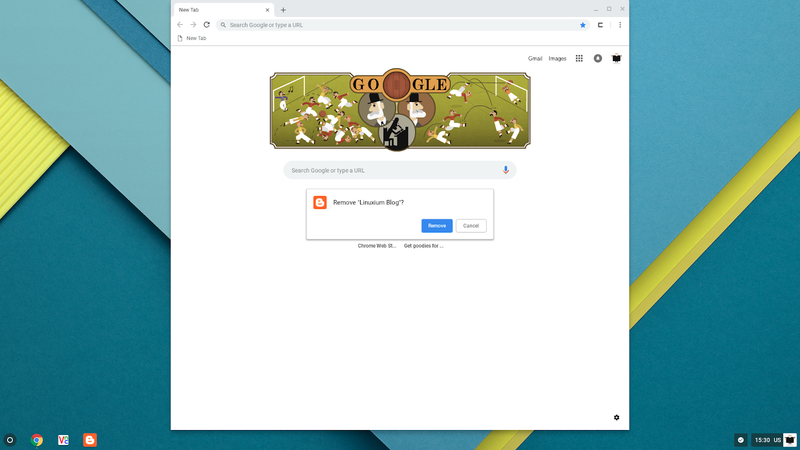 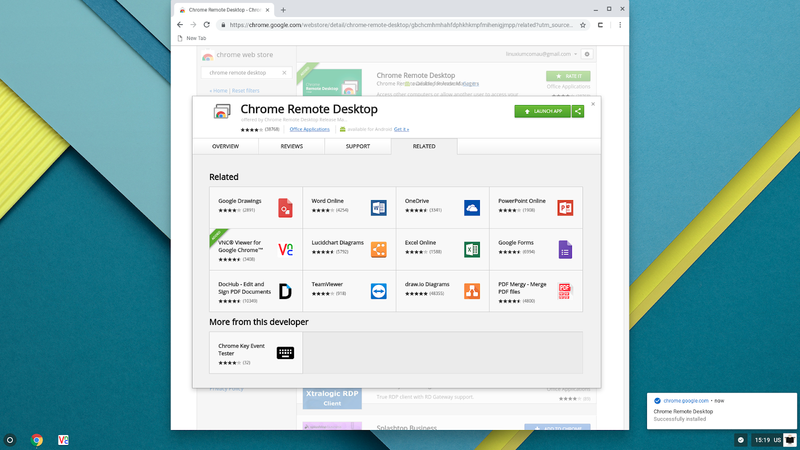 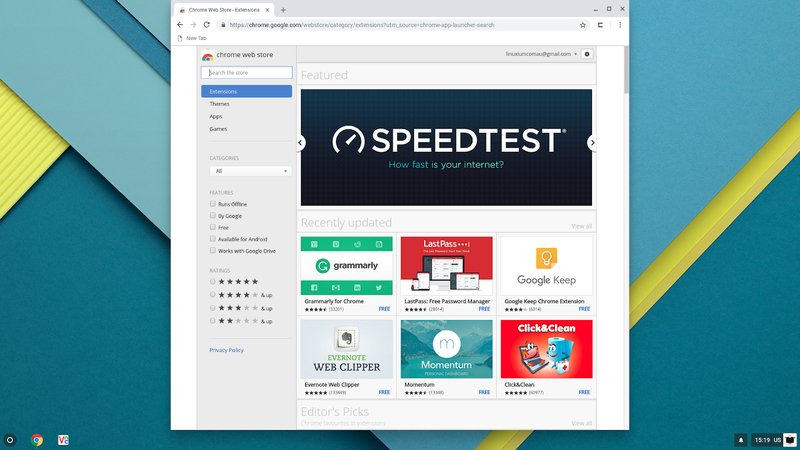 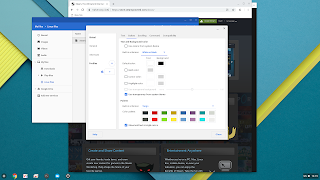 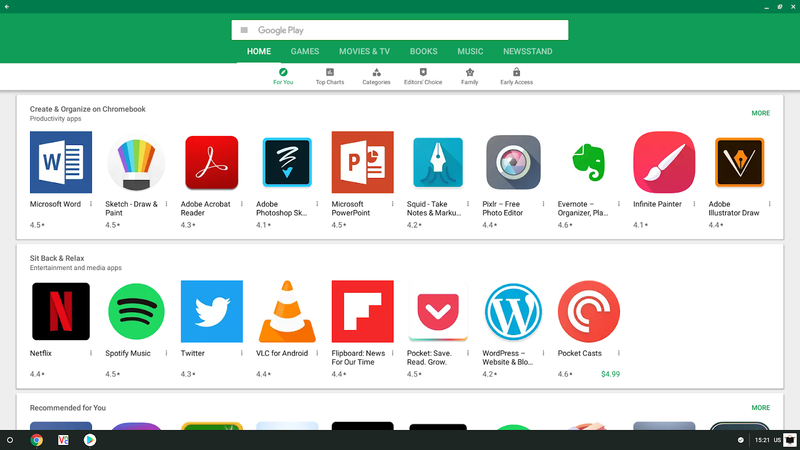 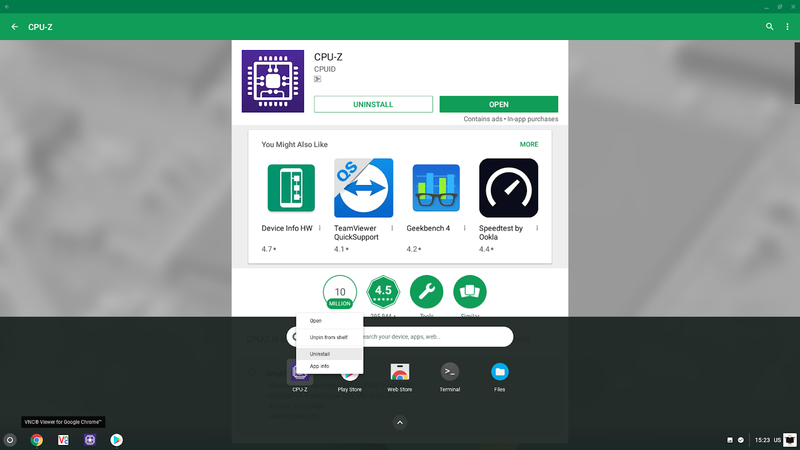 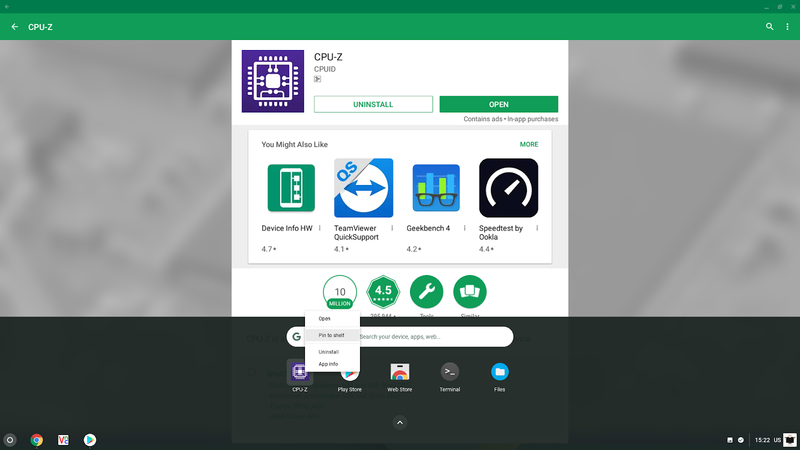 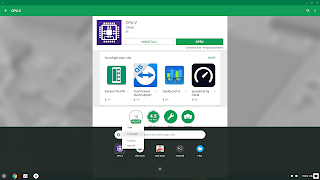 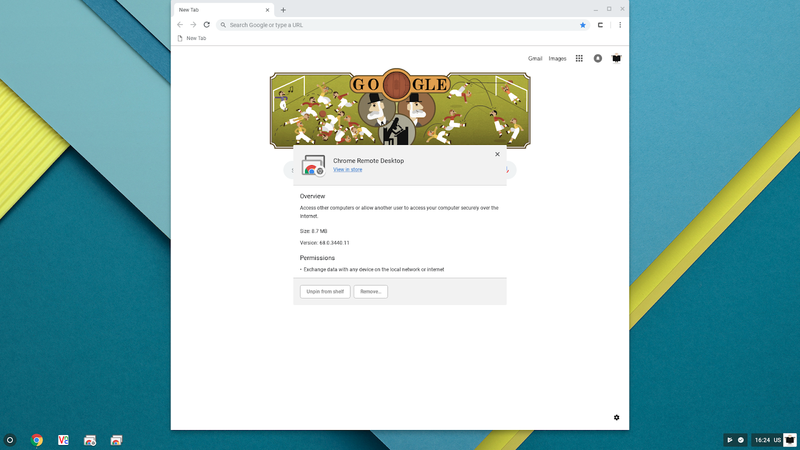 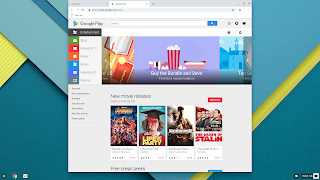 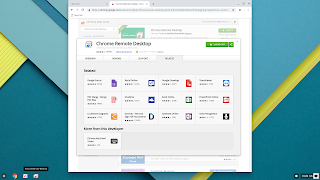 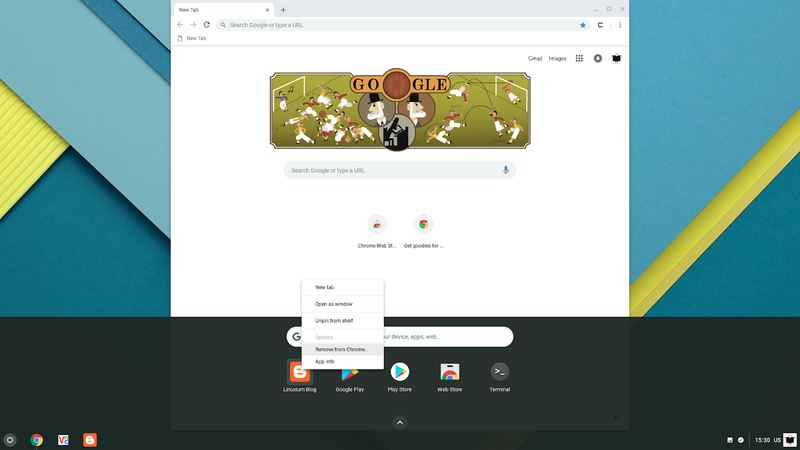 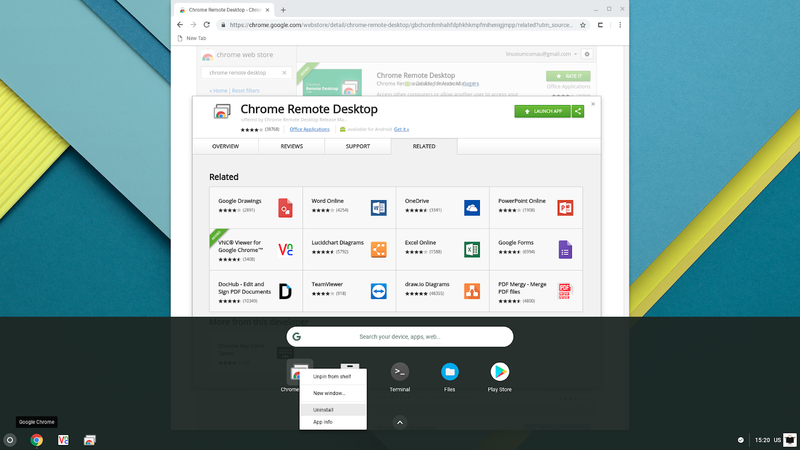 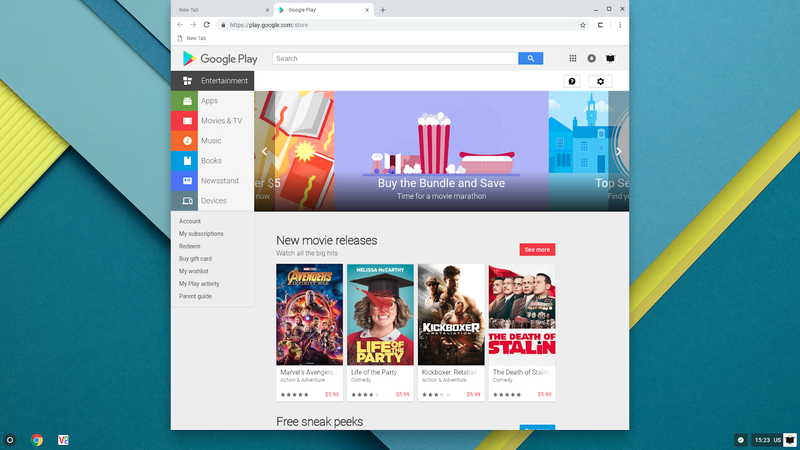 Chrome OS already supports both applications and Chrome extentions as well as Android applications together with locally created shortcuts. 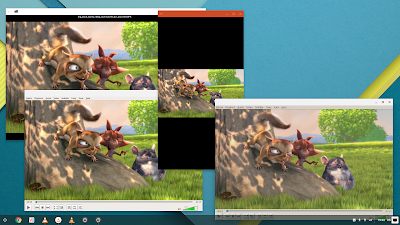 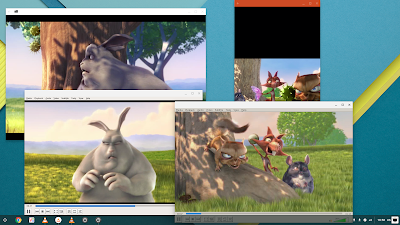 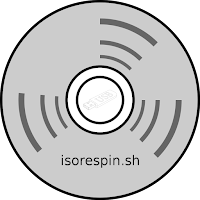 With Crostini, support extends to Linux applications and as a result some Windows applications are also available. Below looks at each in more detail as the processes and terminology for managing applications is both similar and subtly different. 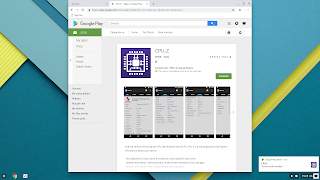 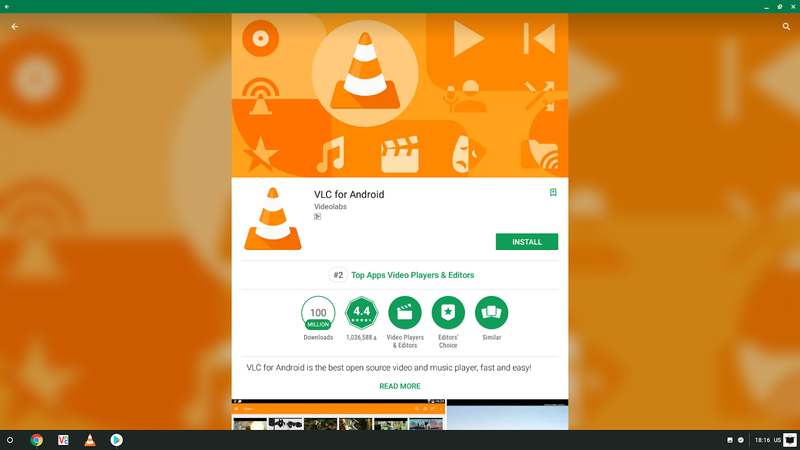 Android applications can be installed through two ways. 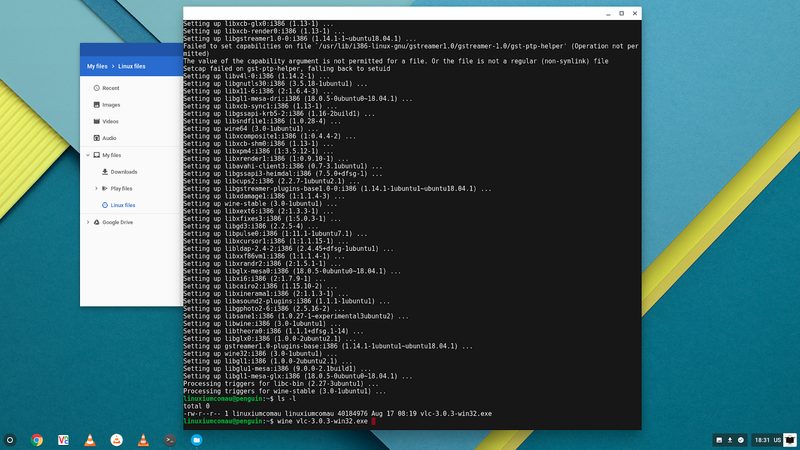 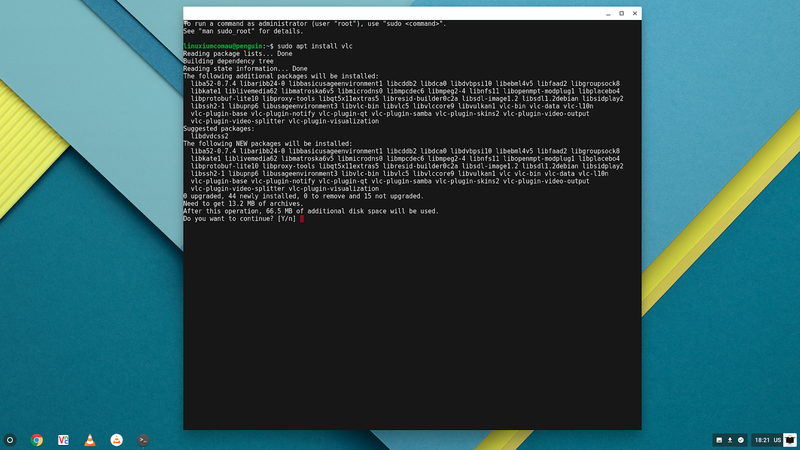 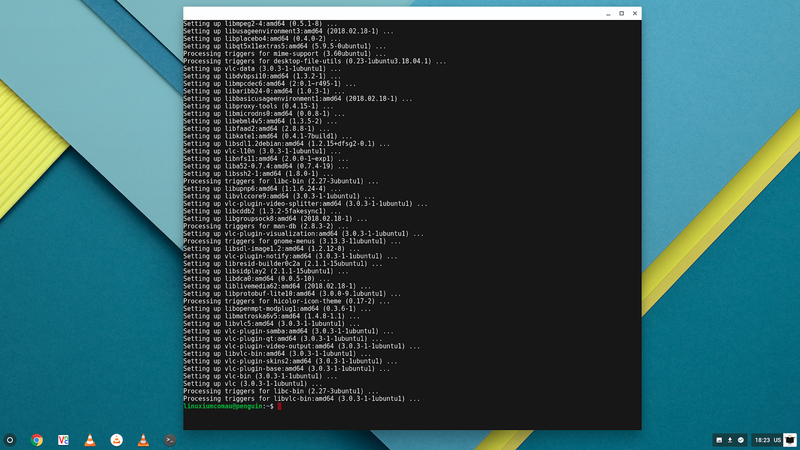 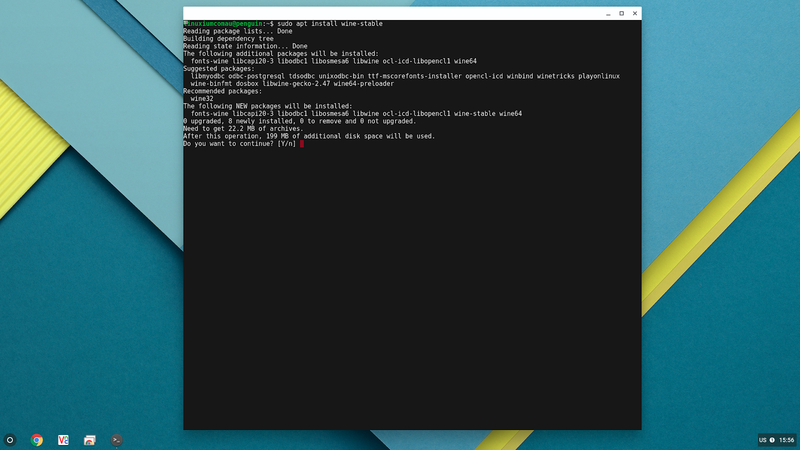 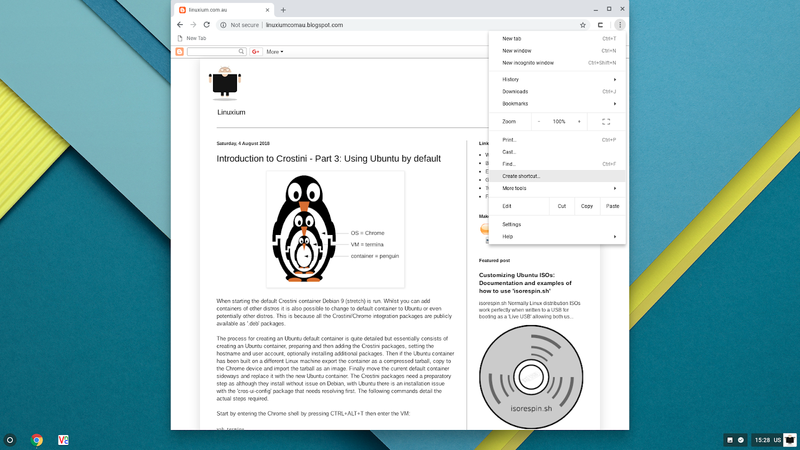 Linux applications can be installed in the Crostini terminal as previously shown using the CLI. 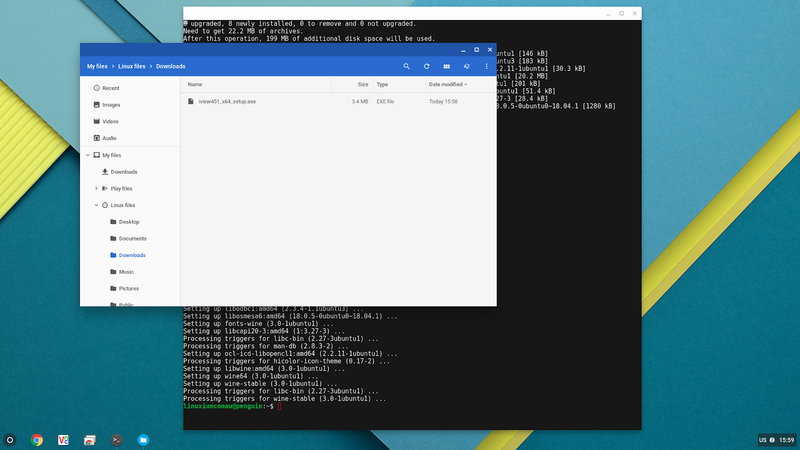 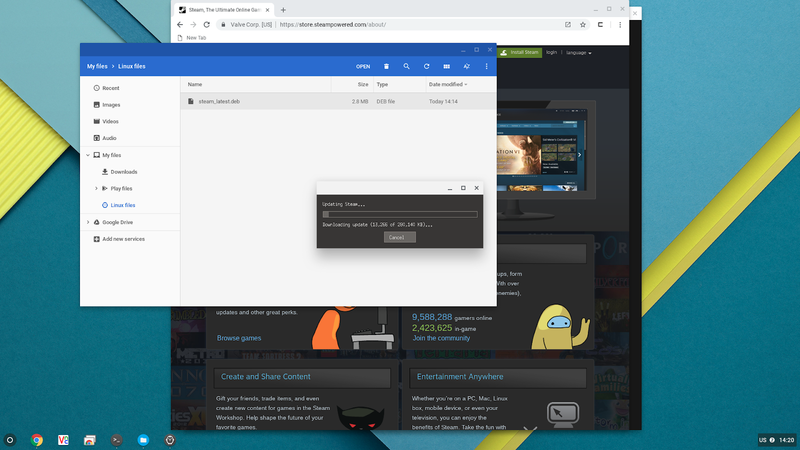 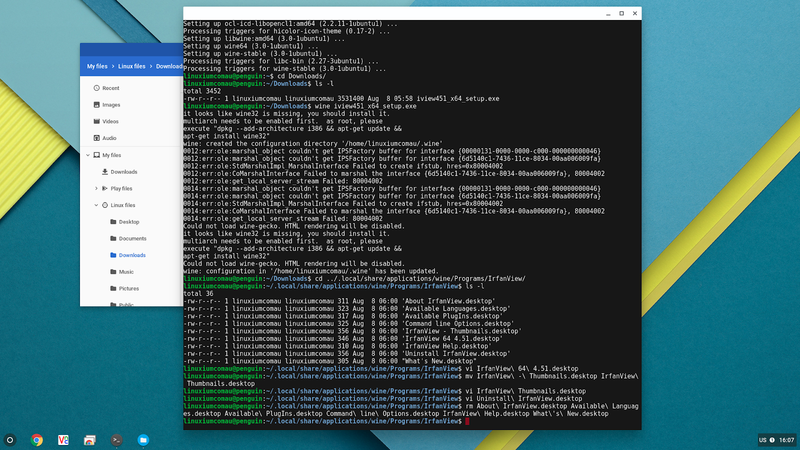 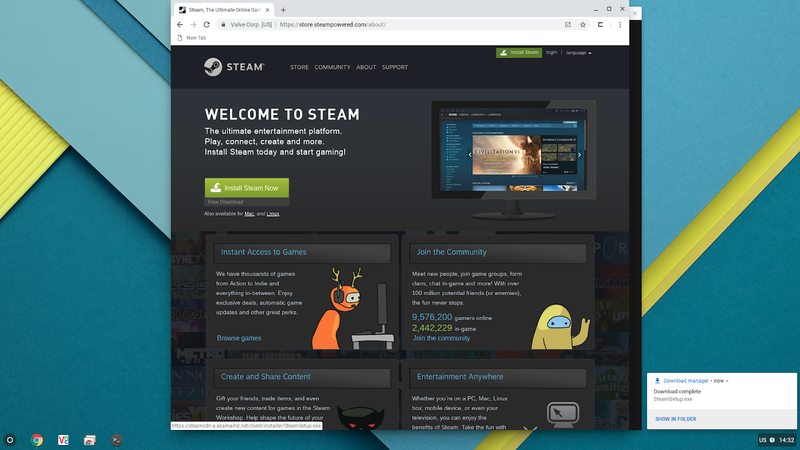 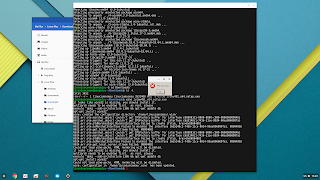 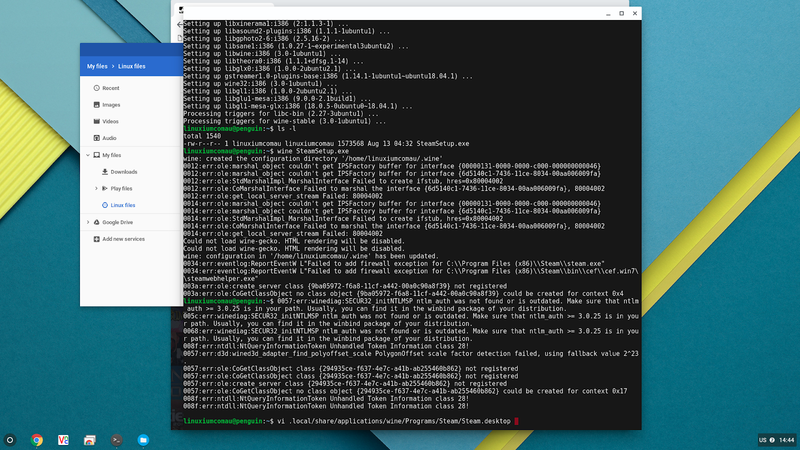 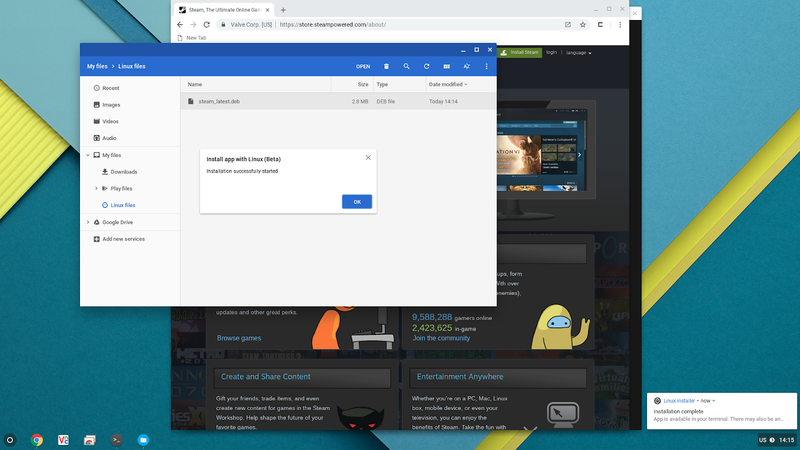 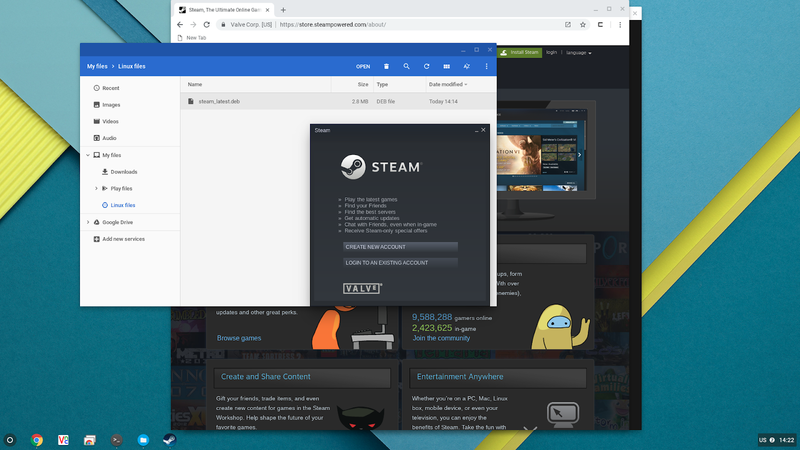 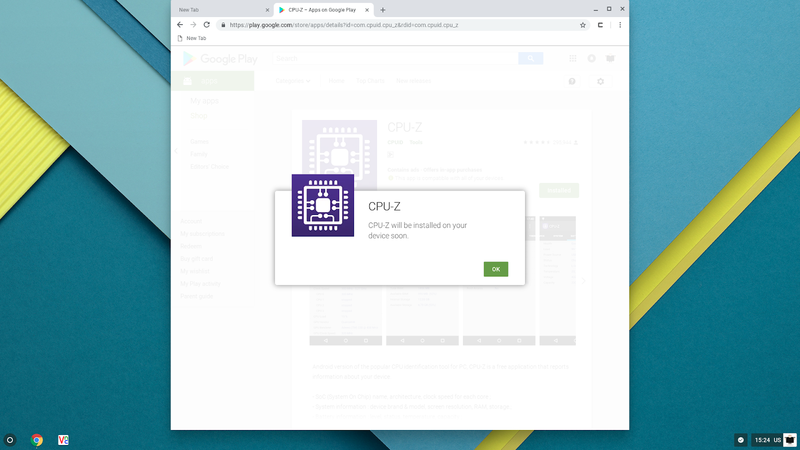 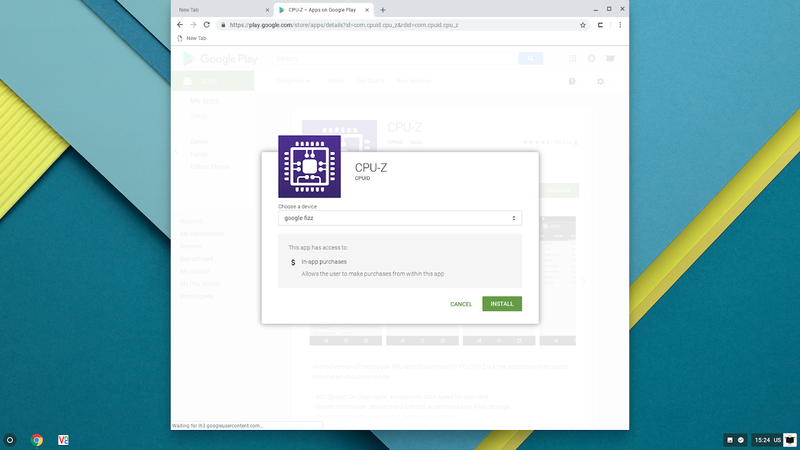 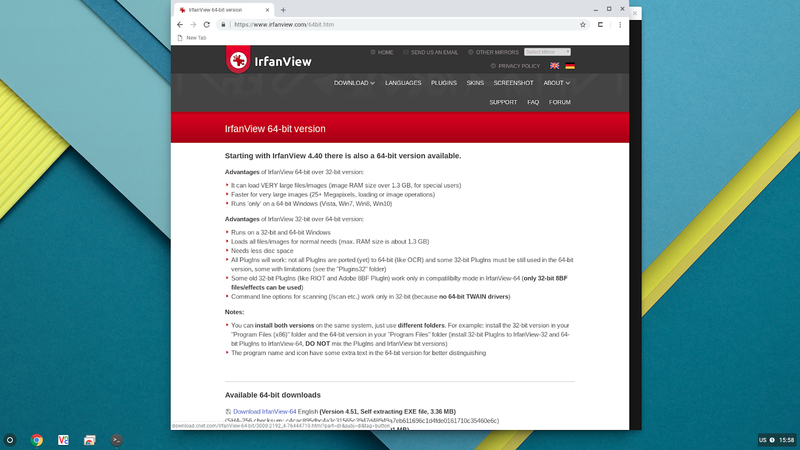 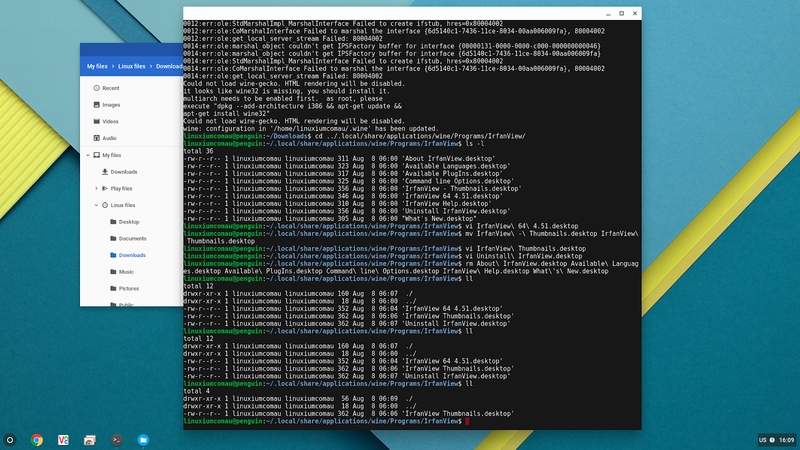 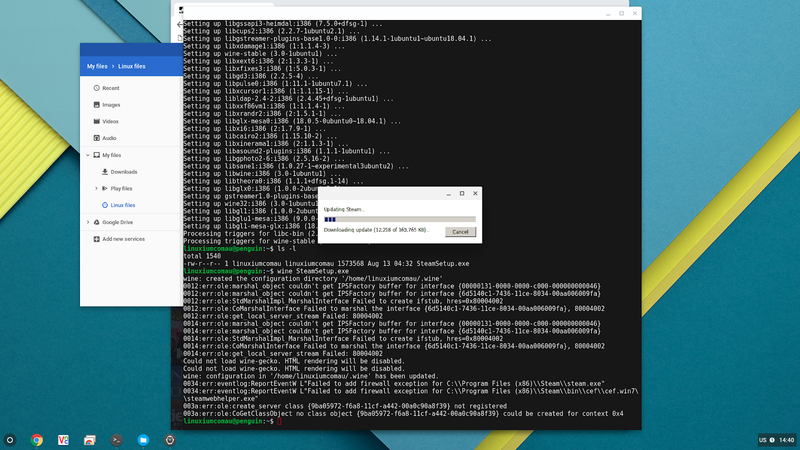 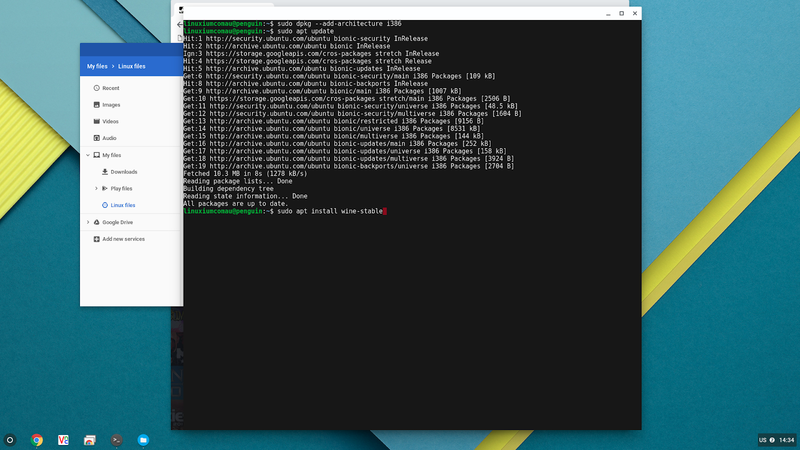 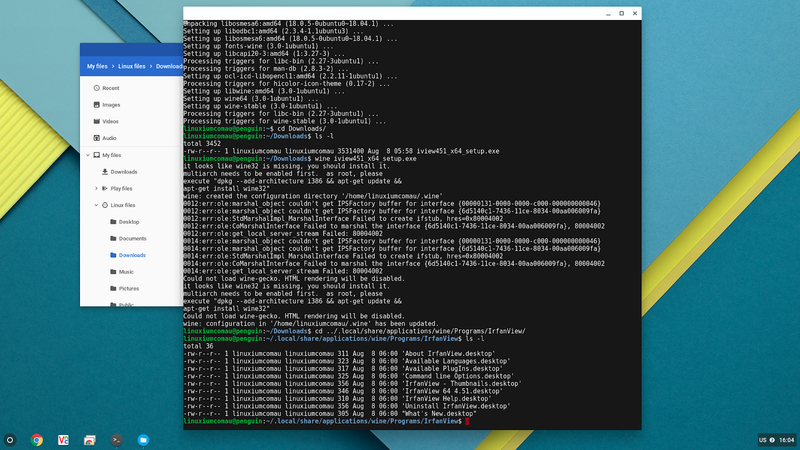 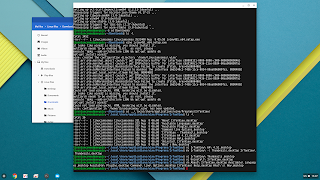 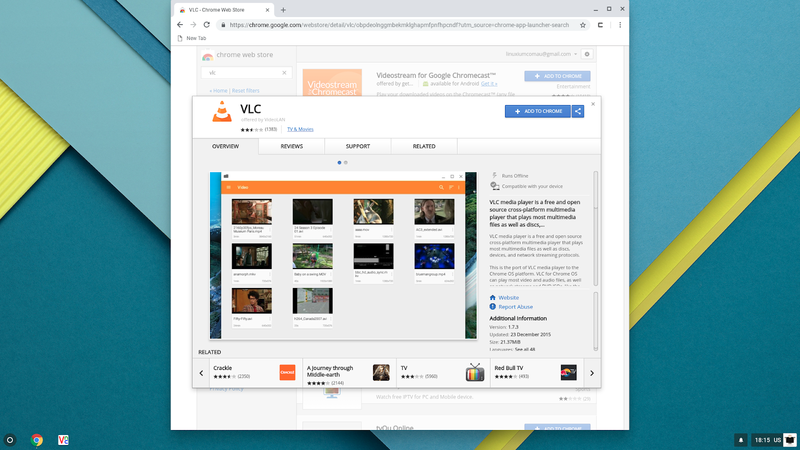 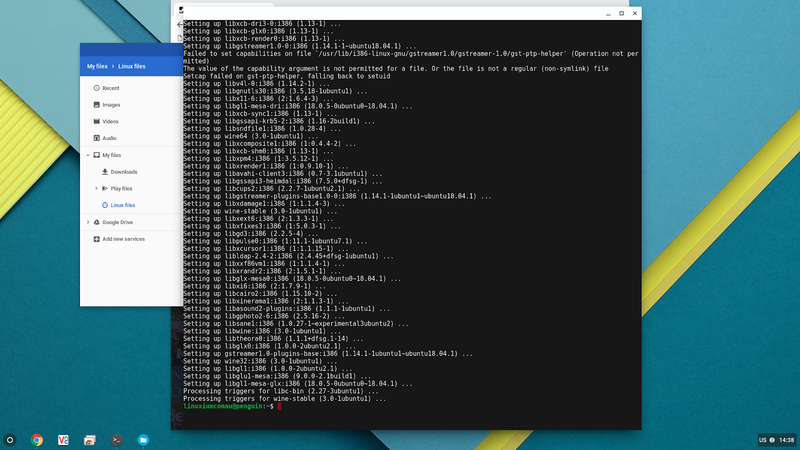 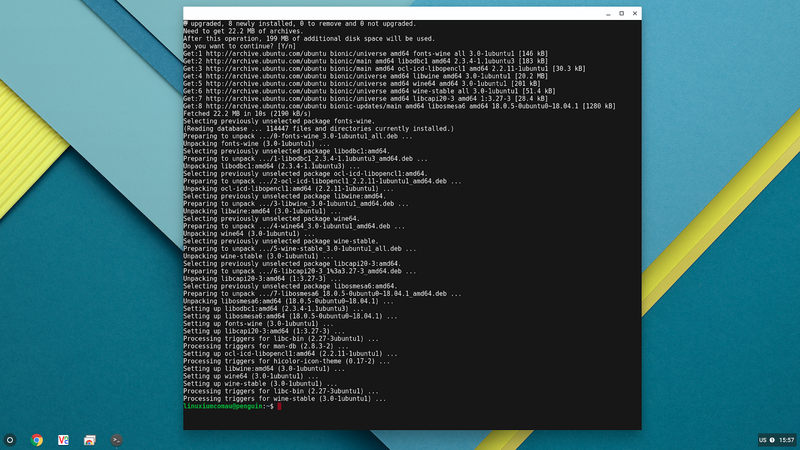 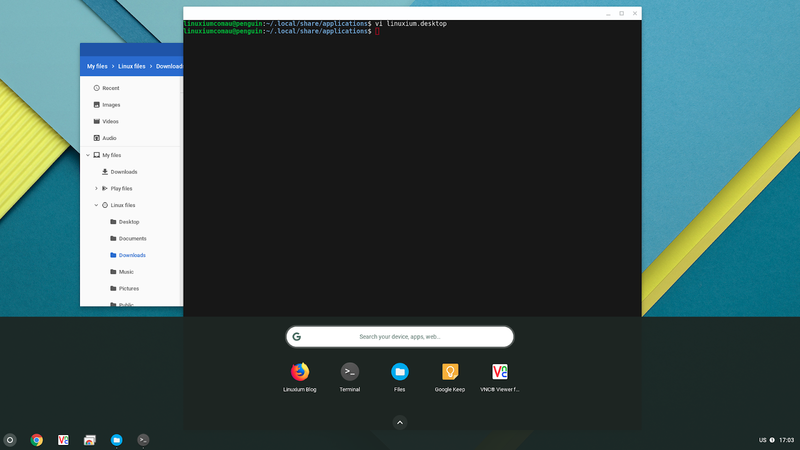 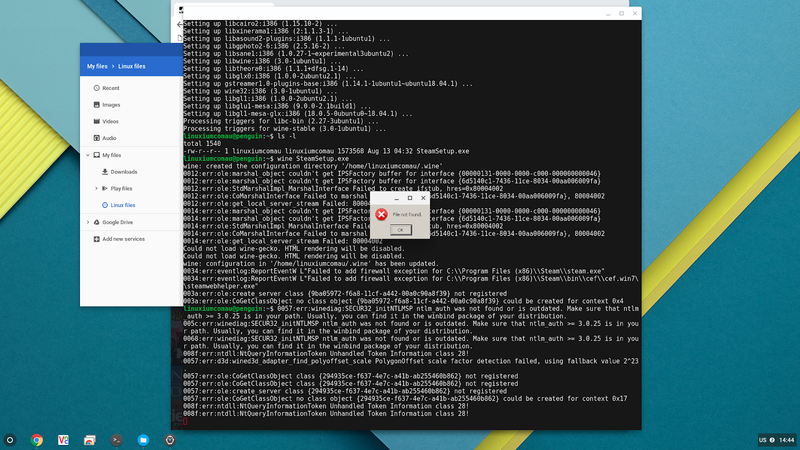 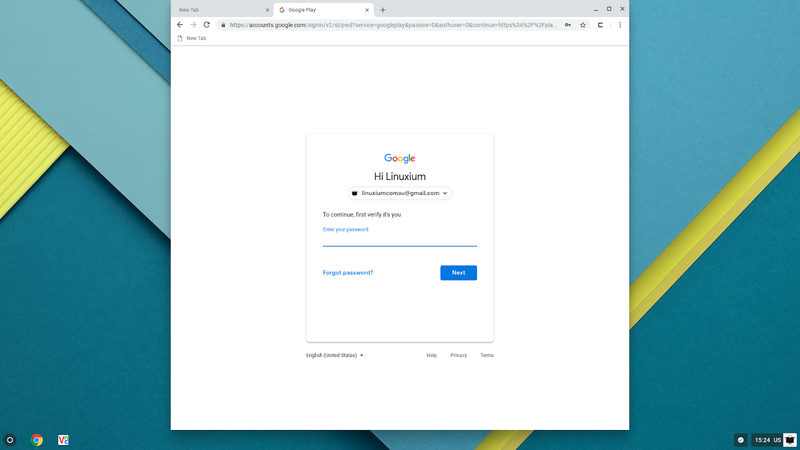 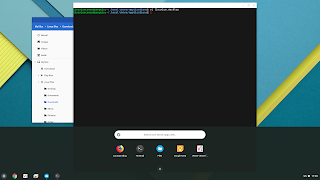 However a new feature now enables a more seamless approach to running Linux applications on Chrome OS where the installation is initiated behind the scenes. 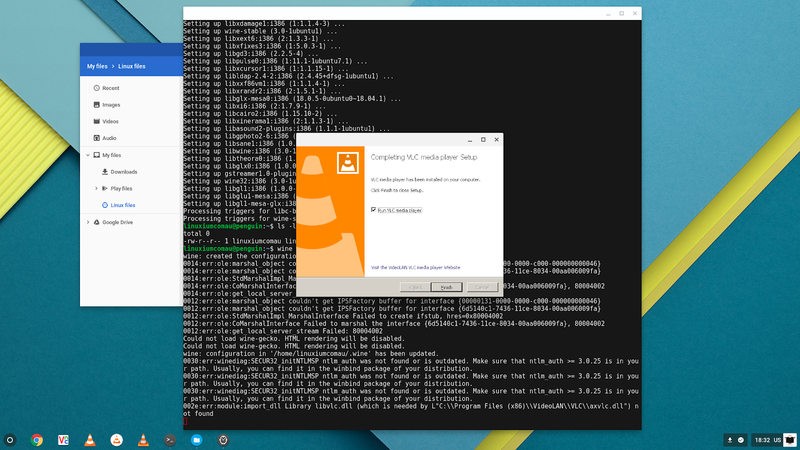 also noting the correct application icon is now displayed in the system tray when the application launches. 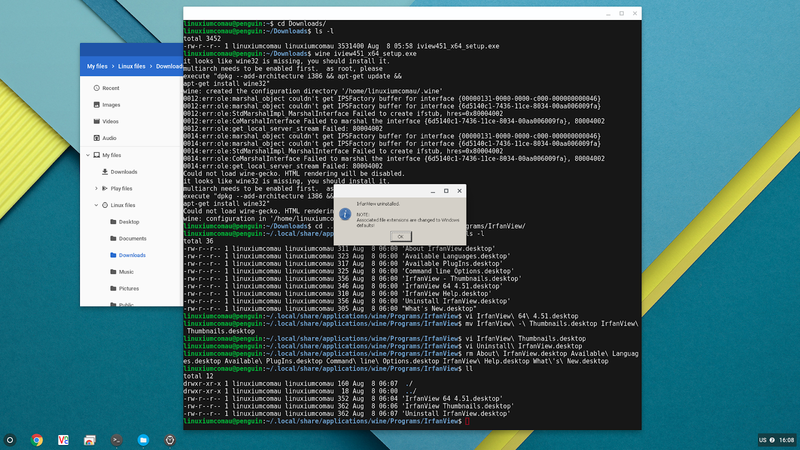 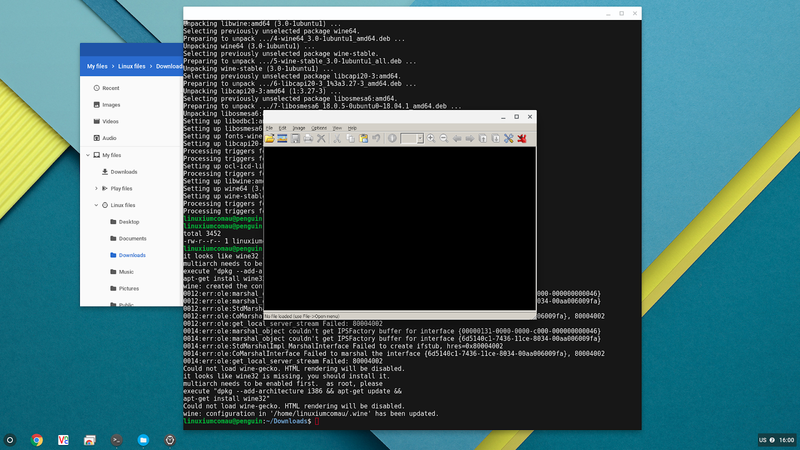 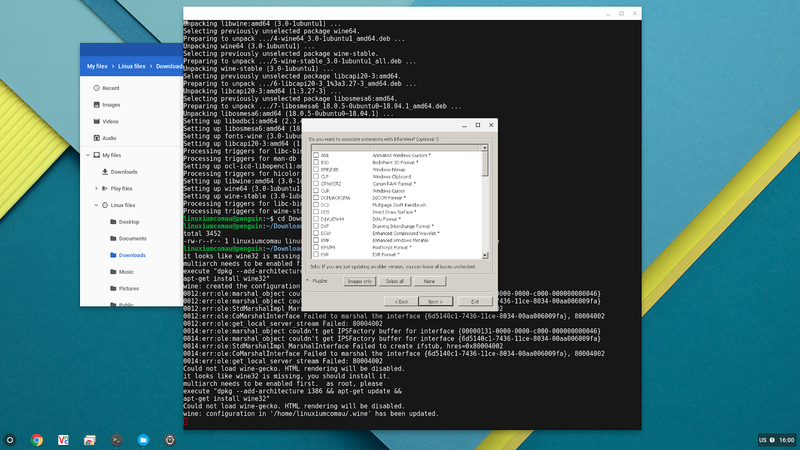 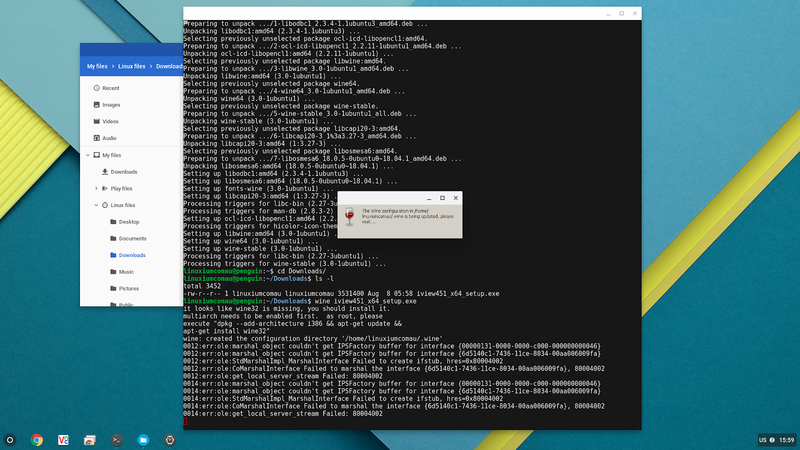 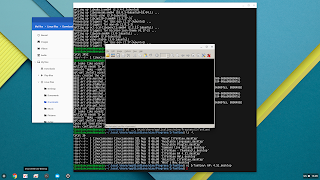 There are a number of ways to get Windows binaries to execute under Linux but one of the simplest ways is to use an application called Wine. 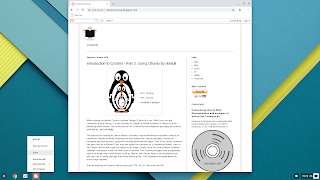 Wine is provides compatibility layer that effectively simulates a Windows environment using Linux-based libraries as an alternatives to Microsoft's proprietary libraries. 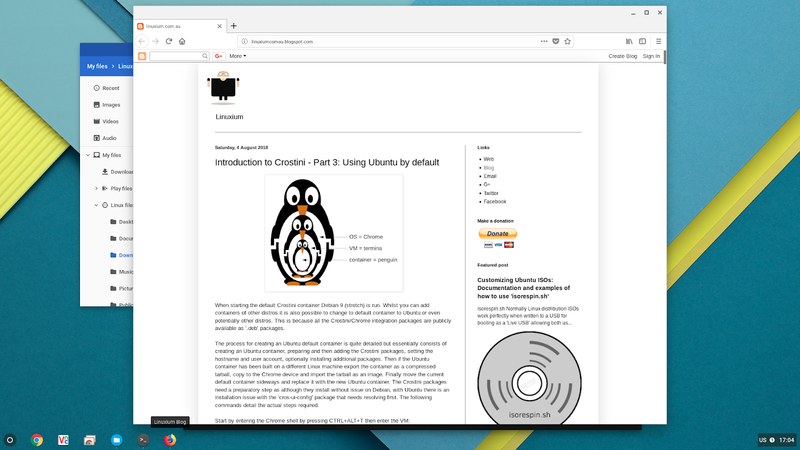 This time note that a 'penguin' application icon is now displayed in the system tray when the application launches. 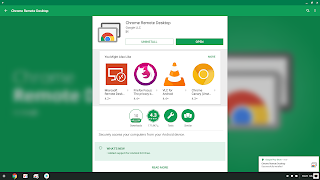 Immediately you will notice some anomolies. 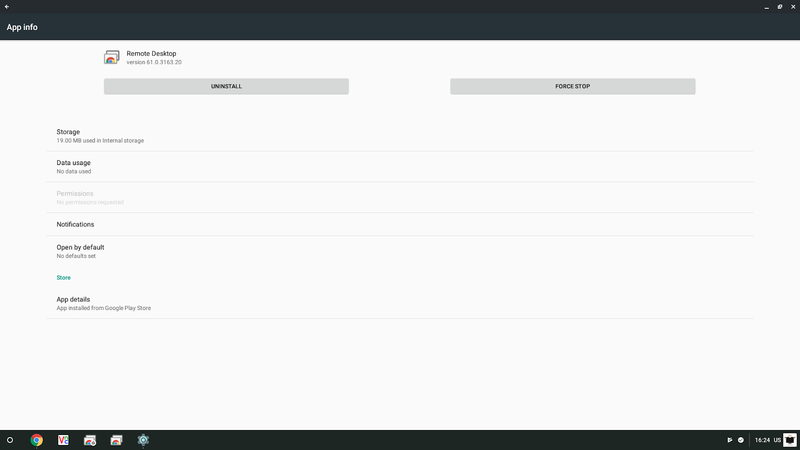 For example before being able to enter text into the box you will need to first right click it. 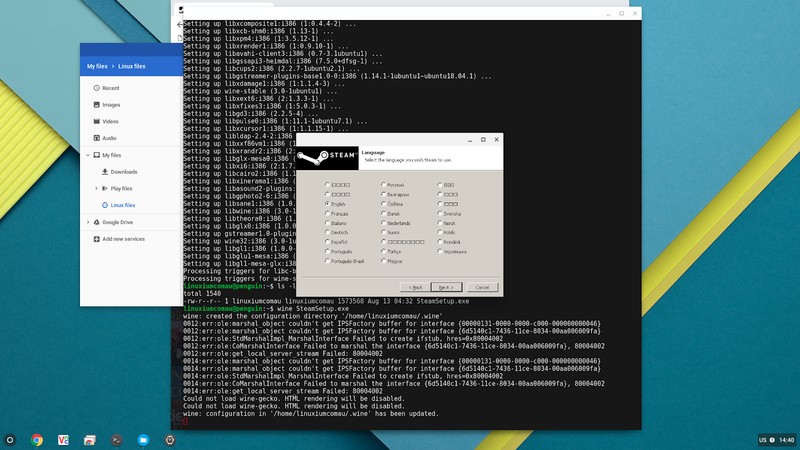 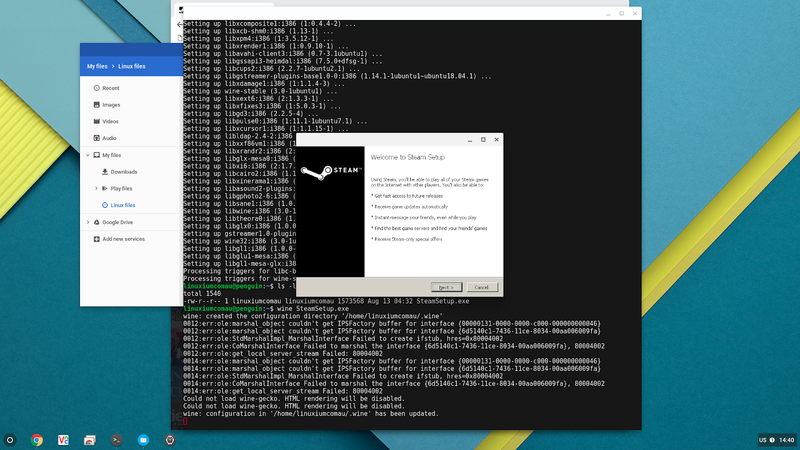 YMMV with the quality of Windows executables as this Steam application shows. 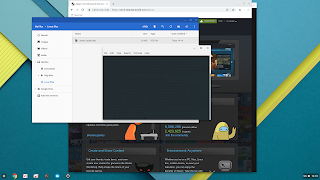 For the latest version of Wine and additional support I recommend consulting the WineHQ website. 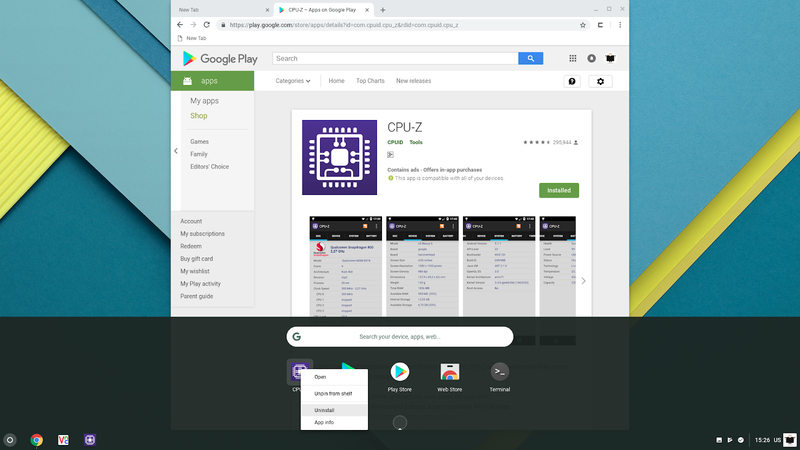 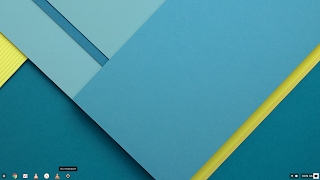 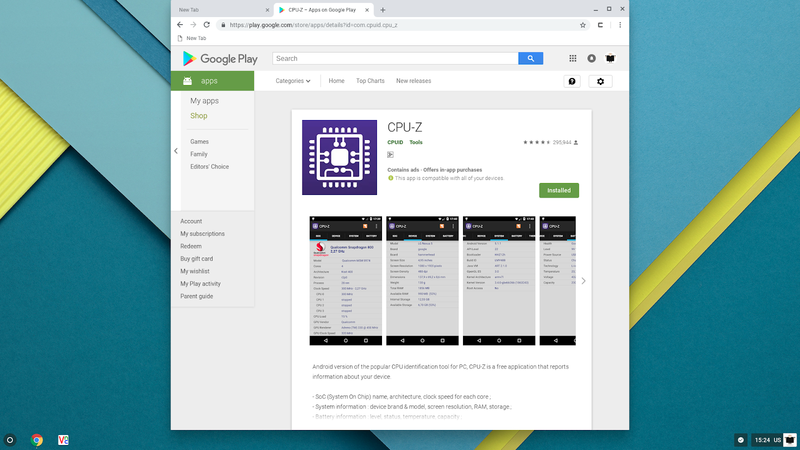 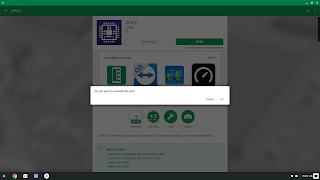 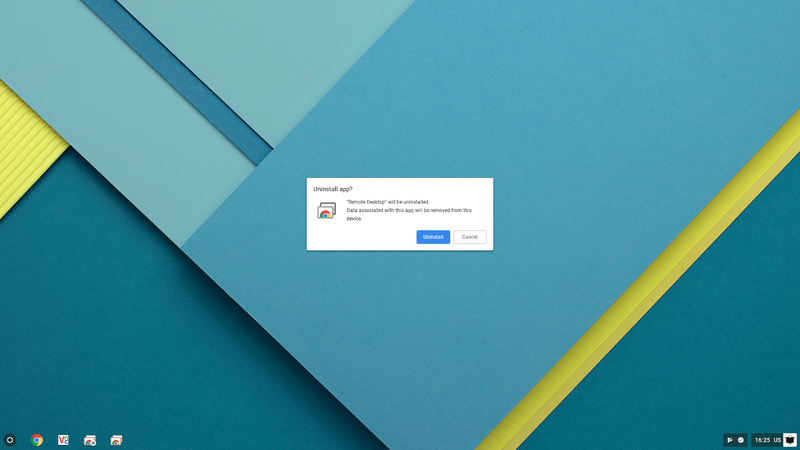 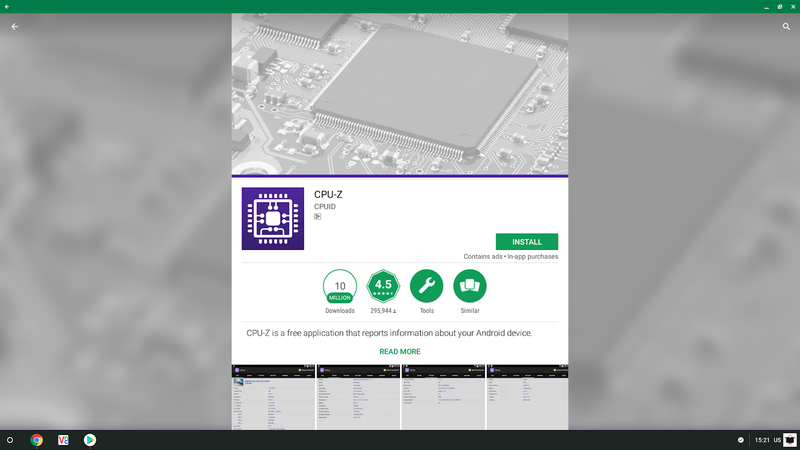 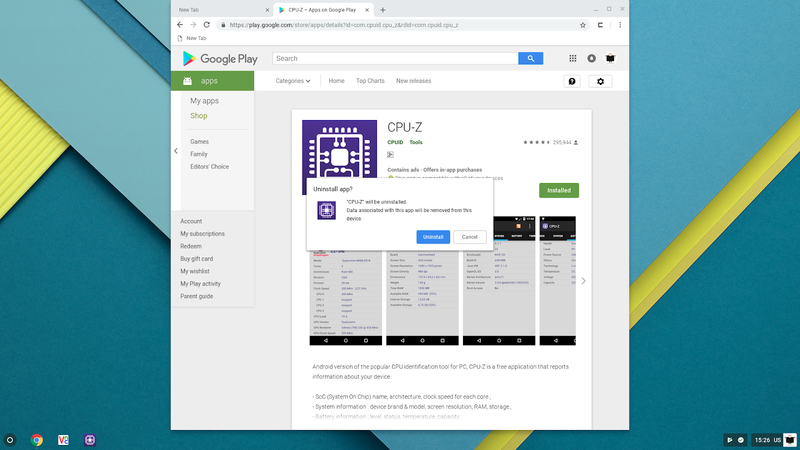 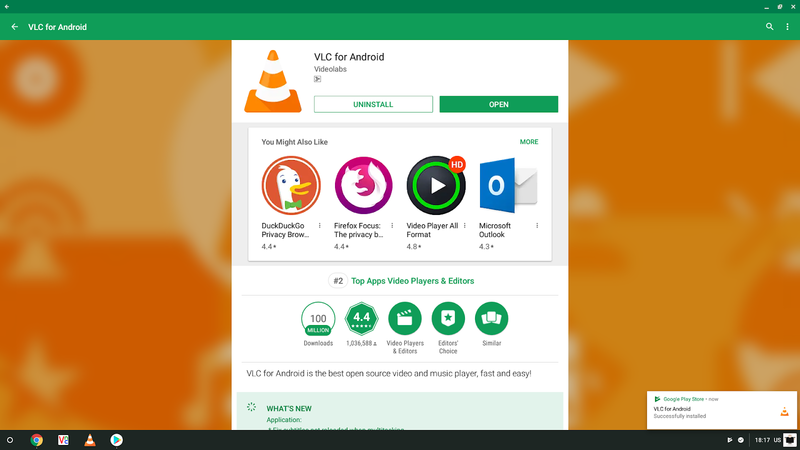 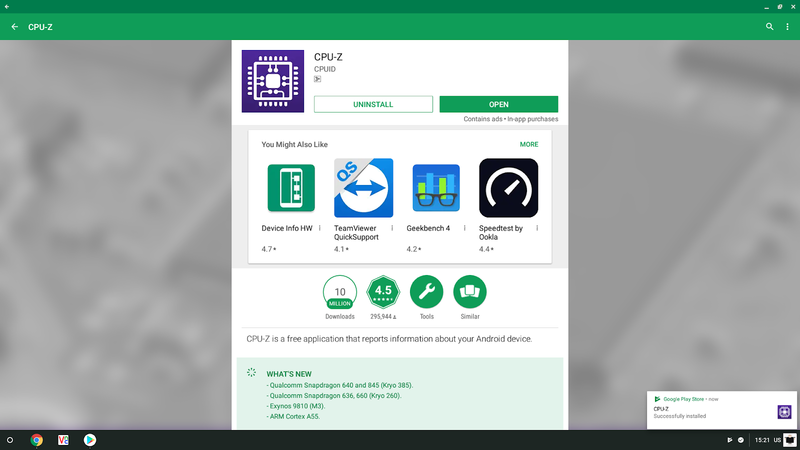 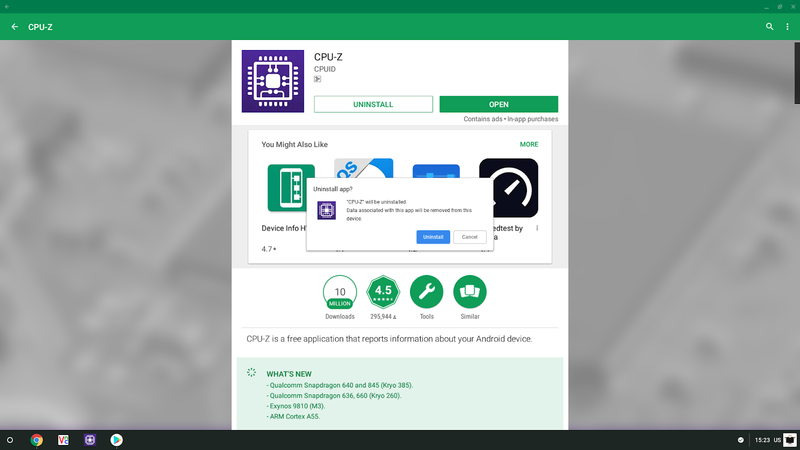 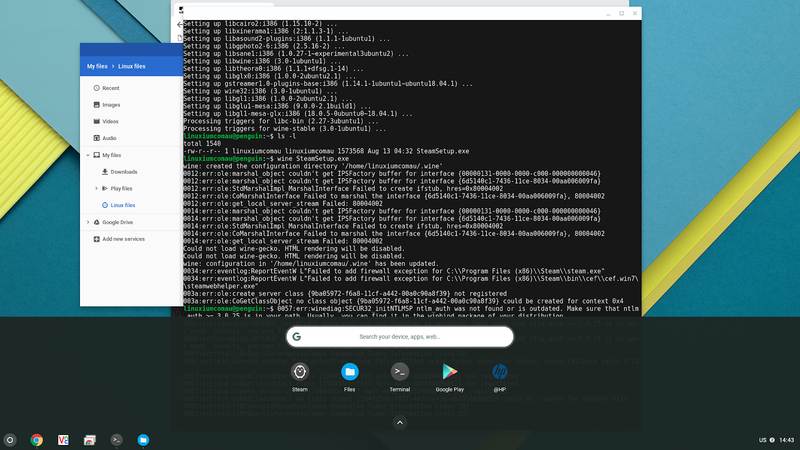 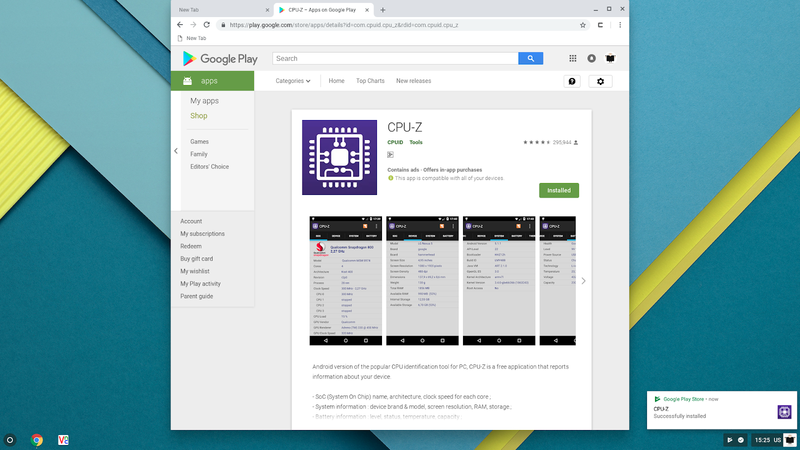 An interesting application scenario arises when both the same Chrome OS and Android applications are installed even though the actual application functionality differs.